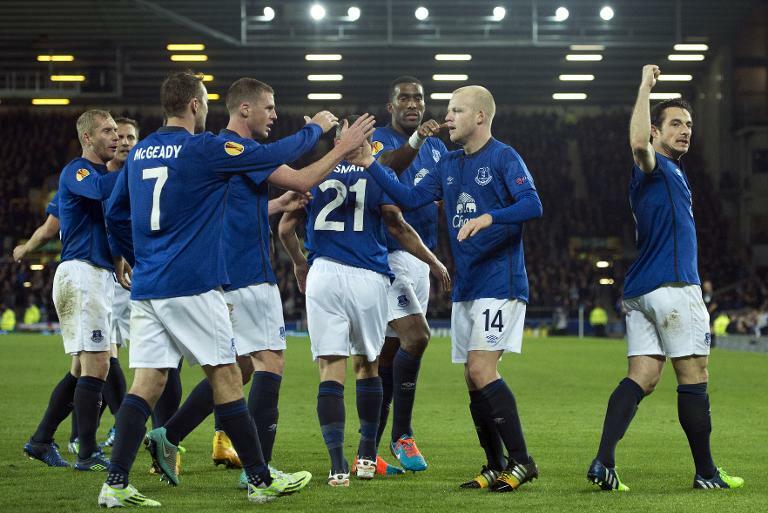 The Toffees, on eight points, face a daunting trip to Wolfsburg carrying a one point lead over their Bundesliga hosts with French side Lille on three and tackling Turkish side Krasnodar who prop up the group with two draws from four matches. "I am young, I can still improve. When I play football, I always enjoy myself. I am a winner - I am here to win every game," he added. The two teams can advance with Everton needing a win to top the pool while a draw could see both sides move forward if Lille fail to win in Turkey. Tottenham, who won the then UEFA Cup for the second time in 1984, host eliminated Serbian club Partizan Belgrade sharing the Group C lead on eight points with Istanbul's Besiktas. The winner is assured their last-32 place while a draw will also carry the two clubs through if HNK Rijeka and Belgian side Standard Liege finish level in Croatia. Swiss club Young Boys are their only threat on six points and in action on the road in Slovakia at eliminated Slovan Bratislava. Borussia Moenchengladbach on eight points are one point ahead of La Liga hopefuls Villareal in Group A as the two teams meet in Spain. Elsewhere in the pool, FC Zurich come into their tie with four points and will stay in contention with a win at home against Cypriots Apollon Limassol.